While on a mission, American astronaut Captain Tony Nelson is forced to make an emergency landing that will forever change his life. On a deserted South Pacific island, Captain Nelson happens upon a bottle containing a beautiful two-thousand-year-old female genie named Jeannie. Rescuing her from the bottle nets Tony the requisite three wishes, and then some, when Jeannie pledges total devotion to her new "master". 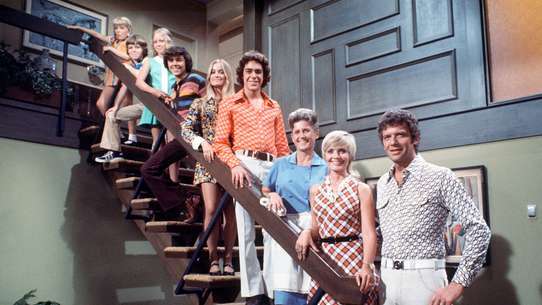 A hurricane traps Tony, Jeannie, Roger and Dr. Bellows overnight in the Nelson's house. 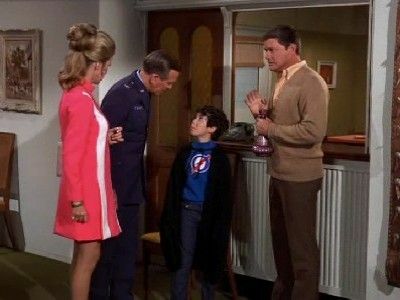 Tony dreams Dr. Bellows figures out the real truth about Jeannie and her powers. Roger and Tony serve three weeks in the Arctic as punishment. 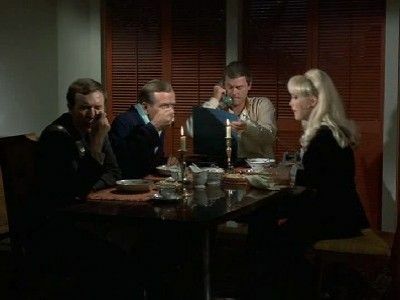 When Tony learns Jeannie is to be married just as he and Roger are about to be retrieved he goes straight to Basenji. 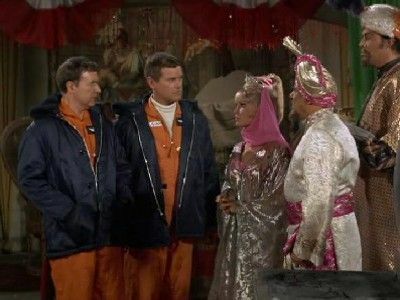 As he risks his life for love of Jeannie, Jeannie refuses to be queen and leaves. 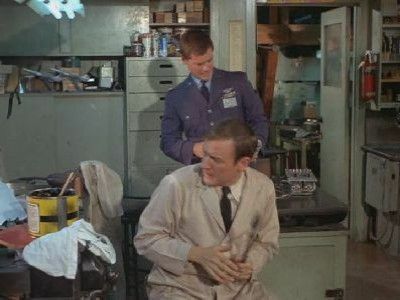 Jeannie and Tony go to NASA where he introduces Jeannie as his fiancée. 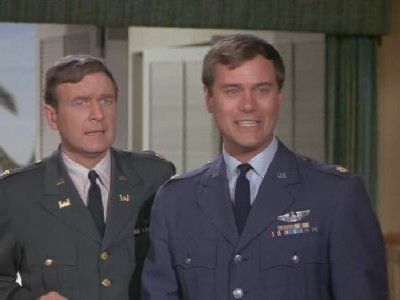 Even though stunned from the announcement, Jeannie blinks Roger back as he is about to be executed and as Tony and Roger get a day off as celebration, all three go home. 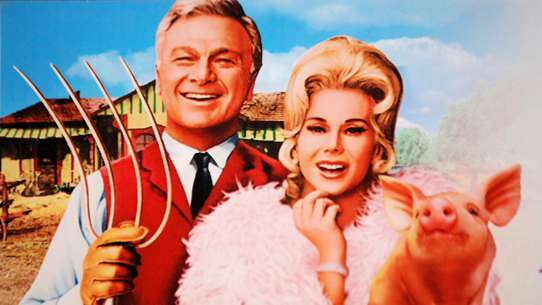 Jeannie's sister convinces her that she was born under the sign of the Jinx and only disaster will come to her master. 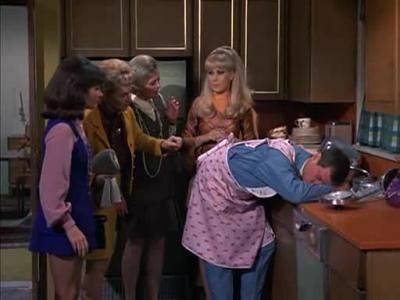 When Tony complains of the bad luck he's been having, Jeannie is certain her sister is right. 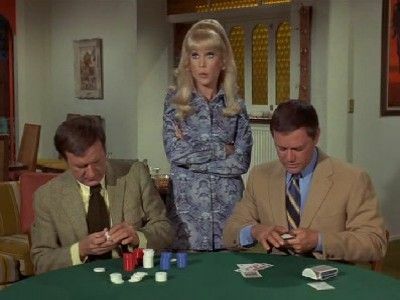 After Tony and Roger win at poker, thanks to Jeannie, they are under suspicion of being card sharks. 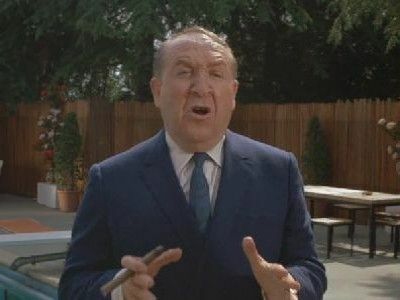 Worse still, the mobsters who are the real card sharks believe that Roger is a card shark too, and give him an ultimatum; win for them or take a swim in the river wearing cement shoes. General Peterson hears about Tony's great voice and enters him in a talent show. The voice is actually Enrico Caruso's given to him by Jeannie. 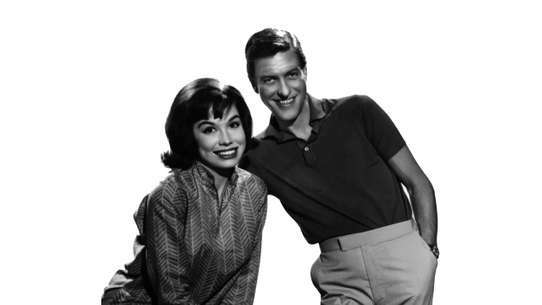 Tony had made her take it back, but he has to go through the talent show without his Caruso voice because he had made Jeannie promise not to give it to him. While he tries to sing, Roger saves Tony by reminding Jeannie that she can give Tony any other voice except Caruso's. Jeannie has just recently joined a club at NASA and voted recording secretary. She then learns that there is an award competition coming up for the best husband and that the prize is a trip for two to Hawaii. She wants Tony to win so badly that she blinks him off his training and returns him at home in his sleepy state. 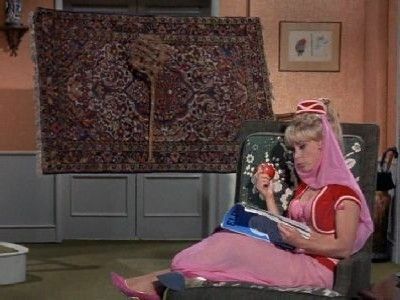 Jeannie; reading a genie's magazine; has found a new spell that turns ordinary objects into porcelain. this causes Dr. Bellows and his wife to think Tony is a real artist and Tony then asks jeannie to blink up amateur works of art in his garage. Things go wrong when Djinn Djinn the dog shows up and Jeannie accidentally turns him into porcelain and now she has to find a counter spell or risk losing her dog. The Bellows' give Tony and Jeannie an early wedding present; a grotesque looking piece of artwork. That's not all, they and others chip in to hire a redecorator to redecorate their home. 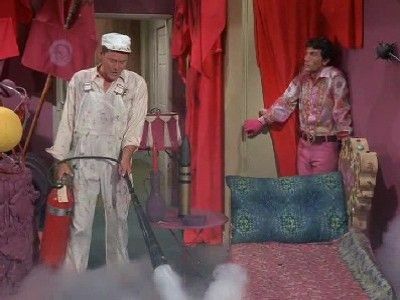 As it turns out, the redecorator has no taste and Jeannie ends up redecorating their home in the blink of an eye. 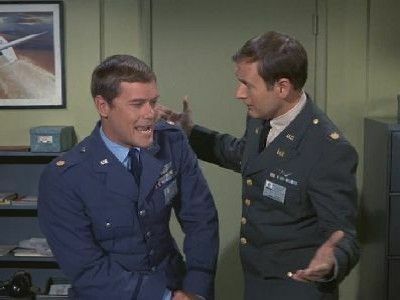 In continuation of the first part, Tony still attempts to get Jeannie's birth date from Roger stationed in Alaska before Jeannie disappears forever. Tony wants a famous star to be at a NASA event. He asks Sammy Davis Jr. but he already has other plans. Jeannie decides to step in and blinks herself into Sammy Davis Jr.'s hotel room. The star is stunned to see a harem girl in his room and when Jeannie blinks away, he is even more confused thinking that he has been working too hard and needs a vacation. Everything works out in the end when Sammy Davis Jr. performs at two places at once with Jeannie's magic. 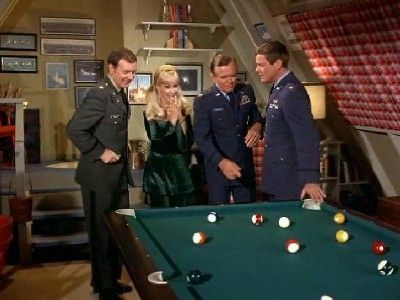 Tony draws the authority's attention when Jeannie puts three milliion dollars into his bank account because he is a low-paid astronaut. 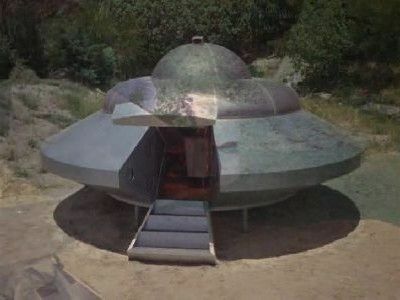 While Tony and Roger testing a top secret flying saucer like craft for NASA, Jeannie pops on board and her extra weight causes them to go off course. 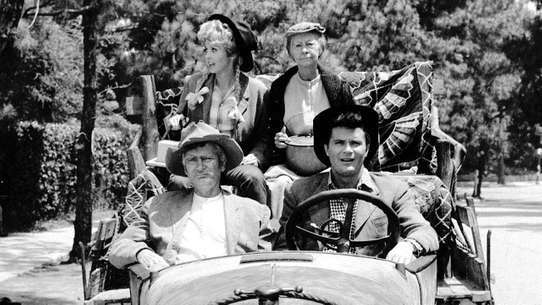 The two land in the middle of hillbilly country and are mistaken for Martians by a family who plans on turning them in for a reward. 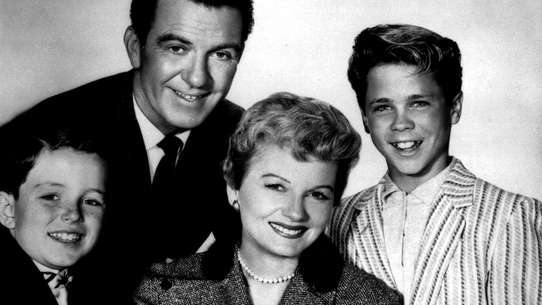 It is figured out that in order for Jeannie to be married, one of her uncles must approve of the husband to be. Two uncles end up showing; Vasmir and Azmir; and causing a whole heap of trouble for Tony. 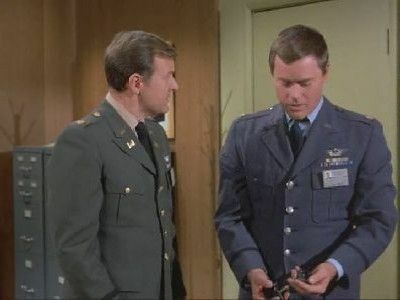 Roger convinces Tony to let Jeannie grant him a wish. Roger accidentally wishes that he hadn't dropped coffee on Tony when he accidentally does. The result is a fabric that cannot be burned, stained, or cut. 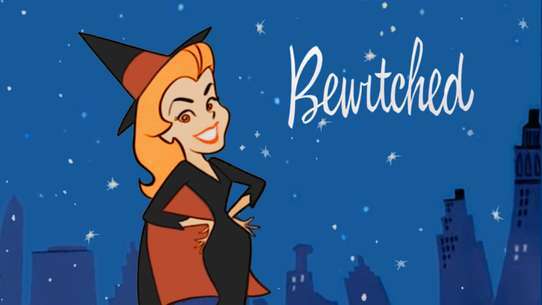 Dr. Bellows witnesses the impossible destruction of the fabric and attempts to find out how Tony had concocted this great invention. 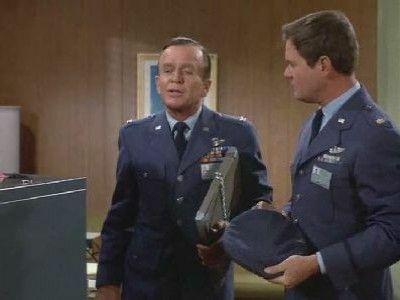 Major Nelson is called to deliver a top secret NASA film to the Pentagon. Jeannie overhears and thinks he is meeting a young woman. Jeannie is jealous when movie star Bootsie Nightingale wants to date Tony for publicity purposes. 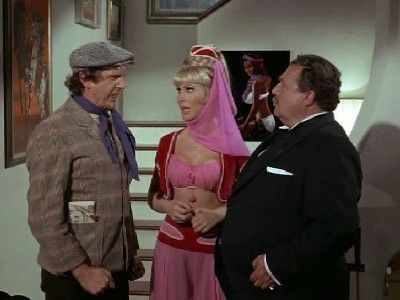 Charlie, a two-bit crook, tries to convince Jeannie to give him a genuine King Tut Scarab pin worth a half-million dollars. 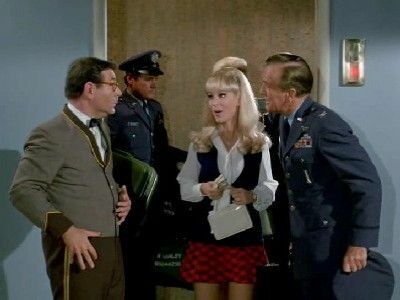 Jeannie wants Tony to run for governor, with Roger's enthusiastic approval. 3 astronauts who have come back from the moon (one of them being Tony) have to stay in a decontamination chamber for 21 days. Jeannie blinks herself into the chamber to hug Tony goodbye only to find out that she cannot leave risking contamination of the outside world. 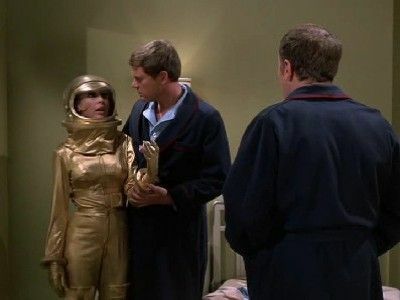 She then blinks on a gold astronaut suit and shrinks herself to be one of the other astronaut's trophys in order to conceal herself. 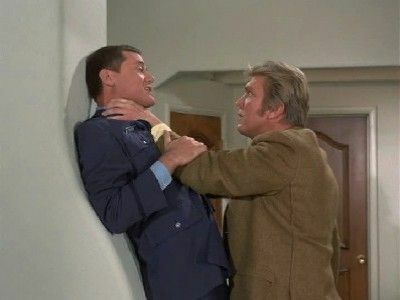 When Tony needs to write a report for Dr Bellows, he tells Jeannie not to help him and sends her to the park, where she accidentally helps some strangers rob a bank in Tony's car. 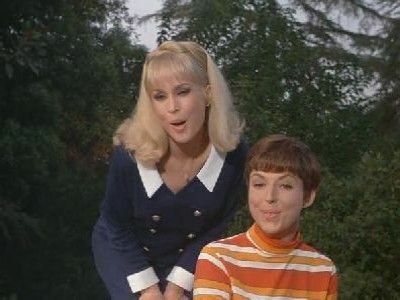 In order to prove that she can live without her powers, Jeannie transfers them to someone else for twenty-four hours. Unfortunately, the person she transfers them to is Tony. Tony causes general Schaeffer to lose an important pool match and breaking his hand later on so it seems he can't play in a rematch. 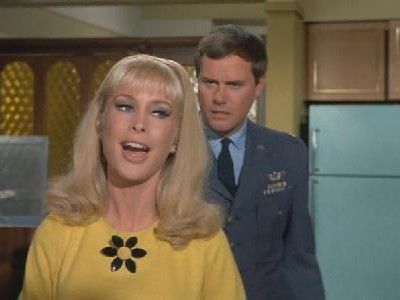 Tony then must play for him with the aid of Jeannie. 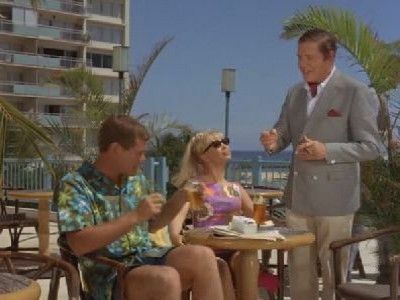 Jeannie, Tony, Roger and the Bellows' go on vacation only to find there are no rooms available in the hotel they wish to stay in. Jeannie then proceeds to blink on a 13th floor.